A new website gave Rodillian MAT an information hub, recruitment tool, and solid foundation for a network of websites for their schools. The Rodillian Multi Academy Trust was established in 2014, and is a developing group of schools in the Yorkshire region. They have achieved accolades for their innovative, results-driven strategies, and have a track record of transforming underperforming schools. Rodillian MAT approached us as they wanted to update their existing website. It was looking a little outdated, and they wanted a modern and professional solution that would provide a better user experience for visitors. The Trust’s website needed to attract prospective teachers, as well as other schools wishing to become part of the Rodillian family. It also acts as the main repository for all vacancies and policies across the Trust’s five schools, as well as hosting resources for governors. 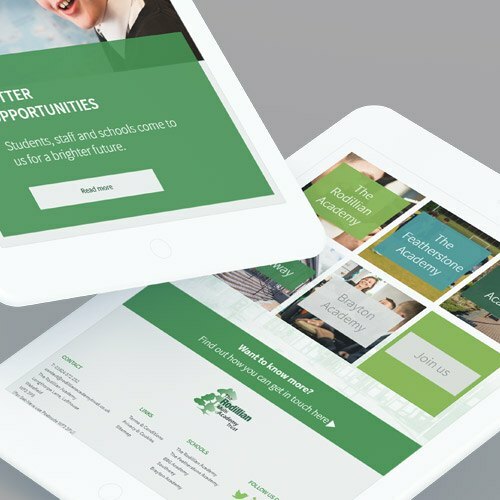 We’d worked on a number of other projects for the likes of Trinity Academy and Buttershaw Business & Enterprise College in the past, and had plenty of experience in creating websites that appealed to stakeholders within the educational sector. 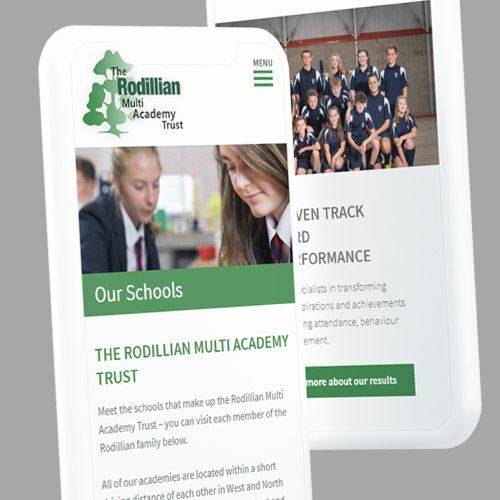 As Rodillian MAT’s site had to accommodate a variety of different user journeys, with different on-site goals for teachers, trust leadership, governors and parents, we developed a site map that was easy for everyone to use, with clear signposts and CTAs to direct the right people to the right areas. Rodillian MAT already had a strong brand identity, with a clear idea about the tone in which they wished to be portrayed – one that matched their own values. Our designer expanded the visual side of their brand by taking their logo and developing a style guide and colour scheme for the website. We also had access to a rich library of images and videos from the academies, which added to the overall look and feel of the site, and created subtle animations to bring the design to life. This was a responsive web design, which means mobile users can enjoy the same experience. The trust’s existing website was very light on information, so we worked closely with the leadership team to get an understanding of what needed to be displayed, and wrote content to provide additional information, while also improving SEO. Finding the right tone was very important, as it needed to match with Rodillian’s ethos. The site was built in WordPress, as it ticked all of the trust’s boxes when it came to security and ease of adding new content. 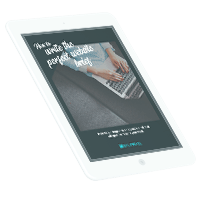 With a large number of staff needing access, their were concerns around version control and data security, so we adapted the CMS to allow different users distinct levels of access, and provided full training. Finally, some of the content on the Trust site needed to feed through to each of the academies’ websites. This was a legacy function of the old site that had to continue to work, so we worked closely with the client’s IT teams to ensure smooth integration. The Rodillian team were great to work with – the project ran really smoothly, and they were very happy with how it came out. We’ll be continuing to support the Trust with new websites for their schools.